Today we are introducing two new styles of outdoor gas patio heaters, adding to our already-extensive range of outdoor heaters for events and occasions. Both with a stylish chrome finish, our Barcelona patio heater and Paris patio heater offer an excellent solution for outdoor heating at your upcoming event. 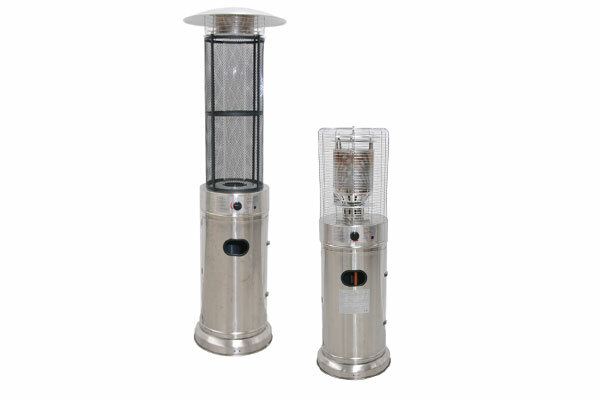 They both use 11kg patio gas, the cylinders for which are also available as a sale item from Event Hire UK, and which sit inside the patio heater units for a clean and simple design finish. Our range of outdoor patio heaters online are part of our extensive outdoor furniture hire section – an extensive and comprehensive range of event equipment on which event organisers and professionals draw throughout the year to service their events. From patio heaters through to commercial BBQ hire, picnic bench hire, gazebos, patio tables and chairs and picket fencing to name just a few of the items, Event Hire UK has it all. Contact a member of our expert sales team today who will be delighted to discuss your upcoming event requirements with you.